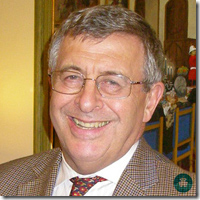 David Durie, who has had a career in the public service, was Governor and Commander-in-Chief, Gibraltar, from 2000 to 2003. Between 1995 and 2000 he was Director General for Enterprise and Regions in the Department of Trade and Industry (the DTI) in London, and before that he was UK Permanent Representative (ie, Deputy Ambassador) to the European Union in Brussels. Earlier responsibilities include a varierty of posts in the DTI and its predecessor Government Departments in London, the Cabinet Office and First Secretary in Paris. After retiring from public service he has had a number of part-time posts including, from 2004 to 2006, chairing the charity known as the Responsibility in Gambling Trust which helps problem gamblers.A member for 9 years of the National Advisory Committee on Archives, an Independent member of the Greater London Authority Standards Committee until 2012, Chairman of the Durie Family Association Vice, vice-chair of Governors of C of E Primary school. He was also a volunteer Gamesmaker during the London 2012 Olympics. David was born in Glasgow, and was a scholar at Fettes College, Edinburgh before going on to Christ Church, Oxford. He graduated from Oxford University with a degree in Physics before joining the Ministry of Technology in 1966. He is a Companion of the Chartered Managemnt Institute and a Fellow of the Royal Society of Arts. He was knighted KCMG in 2003. He is also a Knight of St John (KStJ). � Morocco, the Lords of the Mountains (the history and development of Morocco in the Nineteenth and Twentieth Centuries). � The Hanseatic League � cartel or common market? � BREXIT why, what and how? Lecturing since 2012 with Discovery, Saga and Viking Ocean, so far mainly Mediterranean related but extending to N Europe. Subjects include many aspects of Gibraltar, the Ottomans, Venice, Byron and Greek independence, Nelson and Lady Hamilton,other Nelson related topics,Visigoths and Moors in Spain, the Knights Hospitaller, Canal du Midi, independent Ragusa (Dubrovnik) Hanseatic league, Vikings in Scotland, Heraldry (with particular reference to Scotland) etc, the Jacobite uprisings, Montrose and the Covenanters, sail-away talks on Istanbul, Venice, Gibraltar, current European issues.